It is not a secret how many of the best things to do in Florida are along the coast. 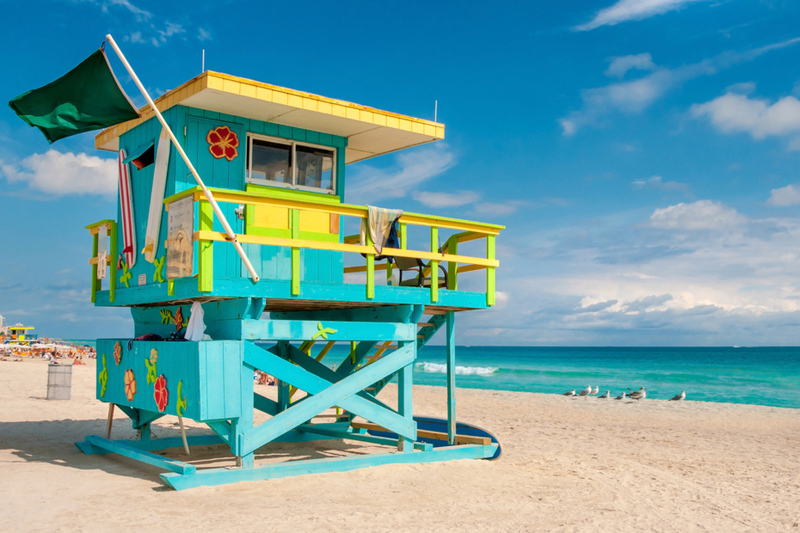 Whether it is lounging around on a beach, living a life of luxury in downtown Miami, or teeing off on the fantastic greens of Fort Lauderdale, there are plenty of Florida attractions for the ocean-lovers. Yet, beach-goers aren’t the only tourist that Florida attracts. There’s enough to keep every traveler busy. Even a day trip to the Bahamas with Bahamas Air Tours from Florida to Bahamas! Imagine yourself, running around like a celebrity on Ocean Drive to all of the hottest beaches and nightclubs America has to offer. Or maybe you’re the type who’d like to sip margaritas in the Florida Keys while you listen to the waves of the Atlantic come gently cozying into the coastline. Even if you’re not a beach-goer, surely you can get excited about all of the exotic wildlife of Florida’s most iconic Everglades National Park. Some of the best things to do in Florida are right on your doorstep for your next Florida vacation. Here’s a bigger list so you know what to do in Florida when your next trip comes knocking! Best things to do in Florida on your next Holiday! The Florida Keys are arguably the most beautiful destination in the state of Florida. They are a string of islands stretching off the southern tip of the state and extending about 120 miles along the border of the Atlantic Ocean and Gulf of Mexico. Among the most popular are the tropical islands of Key West, Key Largo, Islamorada, and Marathon. Each is known worldwide for their own unique atmospheres, but all can guarantee a paradisiacal experience like you can’t find on the peninsula. A vacation in the Florida Keys is one of the best things to do in Florida. No city in the world has a more concentrated and varied arsenal of world-renown theme parks like Orlando, Florida. Magic Kingdom, Universal Studios, Epcot, Six Flags — the list goes on and on. These theme parks are not only known by Americans but recognized by people all over the world. It is incredible they all exist within the city limits of one place. The theme parks in Orlando are some of the best things to do in Florida. The best part of southern Florida is that flights to Bahamas are literally within an arm’s reach. Just stick out your hand and touch them! Well, not that close, but between the plethora of tour options, it has become as easy as boarding a private plane to take a day tour of the entire country. A Miami to Bahamas day trip is becoming one of the top attractions on a vacation to south Florida. It has never been easier to visit another country in a day! Celebrity sightings, luxury nightclubs, sophisticated architecture — just a few of the things that South Beach in Miami has to offer. Not only is there a good party scene, but South Beach is also fantastic for a foodie! All types of cuisine exist on Ocean Drive for any kind of culinary enthusiast. Relaxing on South Beach is certainly one of the top Miami Florida attractions. View along Ocean Drive along South Beach Miami. The wetlands of Florida are some of the most diverse lands in the country. The entire southern tip of the Florida peninsula has been reserved for the Everglades National Park where one can catch exotic wildlife such as the almost-extinct leatherback turtles, Florida panthers, West Indian manatees, and, of course, the ever-abundant alligators of the swamps. Everglades National Park, where airboat rides Florida are a main attractions. Just one hour from Orlando, The John F. Kennedy Space Center is one of ten NASA sites in the country. Since 1968, the Kennedy Space Center has been the primary launching site for all human-led space exhibitions. It is as much for the bookworms as it is for space fanatics. And, let’s be honest, who isn’t a part-time space fanatic? If you are lucky, your trip to Florida might coincide with a launch — and you better not miss it if so! What to do in Florida? The Kennedy Space Center is your answer. The Dry Tortugas Islands are not as well-known as they should be. Those that have gone go for the seclusion from the rest of the Florida Keys. They are located at the end of the keys, some 67-miles west of Key West. The islands’ name derives from its one distinct characteristic — its turtles! When Spanish explorers first settled the islands, it was packed with giant sea turtles. Still, you can expect to see many on your Florida vacation to this day. The Dry Tortugas Islands are one of the best things to do in Florida. Smack dab in the heart of Miami is, perhaps, one of the state’s most impressive works of art. The Wynwood Walls is an alternative outdoor street collage featuring enormous wall murals from artists around the world. You could spend half a day taking in its beauty. For those creative types who can appreciate good street art, this is the perfect spot in Florida for you. It’s one of the top Miami Florida attractions. Art Murals at Wynwood Walls is one of many Miami Florida attractions. Surely, by now you have seen the adorable swimming pigs Bahamas has to offer on Pig Island in the Exuma Cays. They are Instagram famous! And here’s the good news: Bahamas Air Tours offers a day trip from Miami that will take you straight to these lovable turquoise waters swimming creatures. And here’s the even better part: it is said that on Big Major Cay (the real Pig Island home to the original swimming pigs), baby piglets outnumber the fully grown pigs 2:1. Can you really turn down a photoshoot with the pink and cute baby piglets? Come from Florida to swimming pigs for an experience of a lifetime. Potter fans, unite! Less of an attraction and more of a cult, this is where the real Harry Potter fans pour in by the thousands! The Wizarding World of Harry Potter is a must for any J.K. Rowling die-hard. The undeniable truth is you are not a real Potter fan if you turn down a trip to the closest thing to Hogwarts in existence. For the month of March, this beach is the wildest and most untamed in the world. Spring Breakers ooze into this small beach town and flip it upside down. However, here’s a hint: All other months of the year, Panama City Beach is only a quaint little beach town with some of the most beautiful beaches on the peninsula. Don’t let the Spring Break rush deter you from a visit to one of the best things to do in Florida! Nascar fans, sports fans, auto enthusiasts — you all know the Daytona 500 — one of the most sought-after races in the entire sport. Year after year, the Daytona 500 remains one of the most-watched Nascar races. Did you know you can tour the track where the action takes place? Did you know you can take a ride around the track itself? Don’t miss this opportunity of a lifetime! Astronauts have been quoted as saying from space the Bahamian islands are Earth’s most beautiful sight from a bird’s-eye view. For all of us regular people, there’s only one way to confirm that. Taking a day trip to Bahamas from airboat rides Florida has quickly become one of the top Florida attractions. Bahamas Air Tours offers an airboat rides Florida private tour aboard a luxury nine-seater charter plane with large window seats for all aboard. Thus, giving the best view a man (or woman) can receive. Not only that, but we offer the only entirely customizable itinerary to the Bahamas in the entire state. This is truly one of the best things to do in Florida while you’re there and you can reserve your spot as soon as today! Bahamas day trips by plane are a fantastic way to spend your Florida holidays. Day Trips to the Bahamas by plane depart from Miami and Fort Lauderdale with Bahamas Air Tours. Swimming pig in a water at beach on Exuma island Bahamas. The vacation of a lifetime awaits within all of the best things to do in Florida. Soaking up the sunshine in the Gulf of Mexico, flying a private plane upon the most magnificent aerial view on Earth in the Exuma Cays, loading up on American history at the Kennedy Space Center — these are just a few of the Florida attractions that could make your vacation a memorable one for the whole family. Being such a short distance from the Bahamas is just one of the great advantages of this list of best things to do in Florida. A day trip to Bahamas is one of the more popular activities in Florida and for good reason. Bahamas Air Tours gives you the best opportunity to see the most — and in style, too! We have included a lot of information on some of the great Florida attractions on offer in the entire state. We have unraveled a plethora of ways to spend your time — from cultural neighborhoods to national parks; from luxury drives to thriving adventure parks; from glittering beaches to tamed but exciting out islands. There are many of the best things to do in Florida still to count, but there’s simply not enough time to include everything. You just have to see for yourself.